On April 26, 2017, District Judge Gregory H. Woods (S.D.N.Y.) found that one of the three defendants was subject to personal jurisdiction in New York and denied a motion to dismiss for lack of personal jurisdiction, but granted defendants’ motion to transfer venue from the Southern District of New York to the Middle District of Florida. Multiwave Sensor Inc. (“Multiwave”) is a Canadian company that manufactures various tools and instruments. Multiwave owns U.S. Patent No. 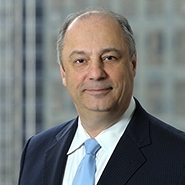 8,436,779 (“the ’779 patent”) and filed suit in the Southern District of New York against three Florida companies, Sunsight Instruments, LLC (“Sunsight Instruments”), Sunsight Industries, LLC (“Sunsight Industries”), and Sunsight Holdings, LLC (“Sunsight Holdings” and collectively, “Defendants”) for patent infringement via their production of an Antenna Alignment Tool (“AAT”), against the ’779 patent. Shortly thereafter, Defendants filed suit in the Middle District of Florida seeking a declaratory judgment for noninfringement and invalidity against the ’779 patent. On the other hand, Judge Woods found Sunsight Instruments subject to personal jurisdiction in New York. New York courts have held that patent infringement, subject to New York’s long-arm statute, occurs “where products are distributed and infringing sales are made.” Millenium v. Dakota, 2003 WL 22940488, at *5 (S.D.N.Y. 2003). Sunsight Instruments’ offer to sell infringing products in New York was sufficient for personal jurisdiction in New York under the state’s long-arm statute. They demonstrated AATs in Rochester, New York, and provided a price quote to a customer in the state. Therefore, even without finding that a sale occurred, Sunsight Instruments was subject to New York’s long-arm statute. The Court then proceeded to step two of the inquiry to determine if personal jurisdiction here comported with due process. Two elements were assessed within this analysis: (1) if the entity had “minimum contacts” with the forum state, and (2) whether exercising jurisdiction based on those contacts would be reasonable. Here, entering New York and offering to sell AATs was sufficient to establish minimum contacts. Also, even though Sunsight Instruments is located in Florida, jurisdiction is not unreasonable in New York. Sunsight Instruments was thus subject to personal jurisdiction in New York. Even with Sunsight Instruments subject to personal jurisdiction in New York, the Court still assessed whether the case should remain in the Southern District of New York or be transferred to the Middle District of Florida. Since Defendants are located in the Middle District of Florida and the case was brought under federal law, this case could have been brought there. Then, the Court evaluated various factors to determine whether to grant the motion to transfer venue, including the convenience of witnesses, the convenience of parties, and the locus of operative fact. The various factors create a balancing test left to the Court’s discretion. Judge Woods noted that the locus of operative fact is “a primary factor” in determining a motion to transfer venue. The locus of operative fact in a patent infringement suit is usually where the allegedly infringing product was designed, developed and produced. See Neil Bros. Ltd. v. World Wide Lines, Inc., 425 F.Supp.2d 325, 330-31 (E.D.N.Y. 2006). Here, the design, manufacture, and sale of the AATs all took place in Florida. In addition, Judge Woods noted that the relevant witnesses and discovery are in Florida, and the parallel action was rapidly proceeding in the Middle District of Florida. With no compelling reasons against transferring venue, Judge Woods granted Defendants’ motion to transfer the case to the Middle District of Florida.